Market very much news driven at this point. 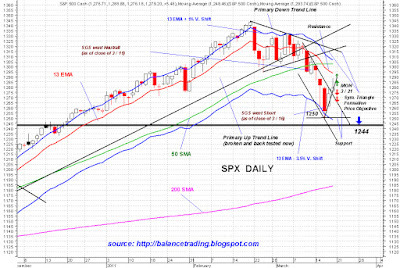 "Good news" from Japan / ME / NA could ignite a short covering rally this coming week sending SPX up to back test its 13 D-EMA around mid 1290's. That would be a good point to open up intermediate and long term short positions imo. 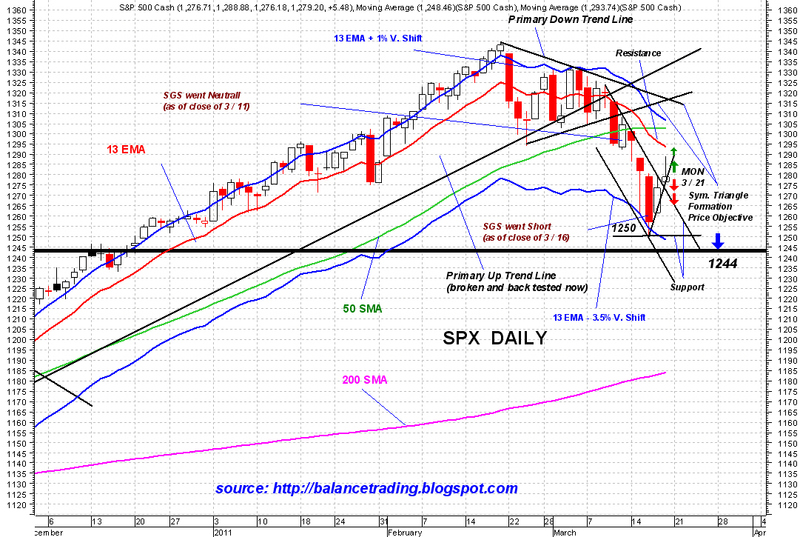 At the same time, "bad news" could accelerate selling and we could see SPX retesting last week's low at 1250.